​From the streets of a Bratislava ghetto to the battlefields of the Middle East, follow the history of the official combat system of the Israeli Defense Force and the man who created it. ​Imi grew up in Bratislava, but was actually born up in Hungary. A natural athlete, he earned national and international awards in gymnastics, boxing, and wrestling. However, Imi’s greatest influence was his father, Samuel, a police officer and self defense instructor. Samuel started his career as a circus acrobat and wrestler, but later entered the police department and served for 3 decades as Chief Detective Inspector. He became well known for his considerable arrest record, particularly of dangerous criminals. When not on the trail of violent felons, Samuel taught various self defense techniques to the local policemen at “Hercules,” the first gym in Bratislava, which he owned. In his training, Samuel constantly emphasized the need for proper moral conduct when dealing with the public and suspected criminals alike. ​During the 1930s, Imi honed his fighting skills in the streets of Bratislava, protecting himself and his Jewish neighbors from local fascist thugs. He took part in numerous fights to prevent anti-Semitic groups from terrorizing the Jewish community in the city. These fights sharpened his awareness of the basic difference between sport and street fighting. It was at this time that the seeds of Krav Maga’s principles were planted in his mind. ​By the late 1930s, Adolph Hitler’s Nazi Germany had turned Europe into a battlefield and made it a dangerous place for Jews. Imi’s fights to protect his family and neighbors rapidly became unpopular with the local authorities, and he was forced to leave his homeland in 1940. After several years of travel, Imi arrived in Israel, which was then called Palestine. He joined Haganah, a paramilitary organization of the Jewish community and fought to create the independent state of Israel. During this time, he began teaching soldiers basic self defense techniques. 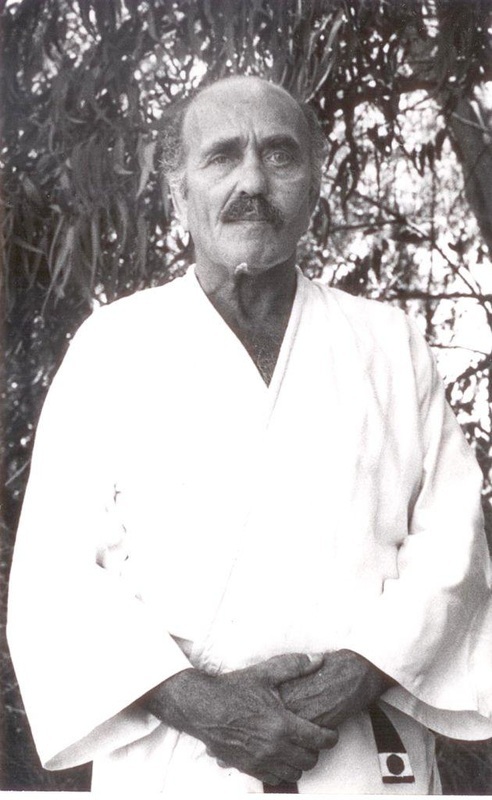 In the 20 years, that he served in the army, Imi developed and refined his unique system of self defense and hand-to hand combat, training the instructors and soldiers of the Israeli Defense Force’s elite units. Since Israel was in a constant state of war with its neighbors, the techniques and tactics he developed were constantly being tested - not in theory, but on the battlefields of the Middle East. ​After his retirement from, Imi devoted his time and energy to adapting Krav Maga to everyday life. The system was adjusted so that it would supply solutions to ordinary men, women, and children who might face an aggressive encounter. The system spread rapidly within the civilian population, thanks to a team of Imi’s qualified instructors. These instructors were personally chosen and trained by Imi and accredited by the Israeli Ministry of Education as teachers of Krav Maga.